Discussion in 'Lexus Sedans' started by krew, Feb 28, 2016. 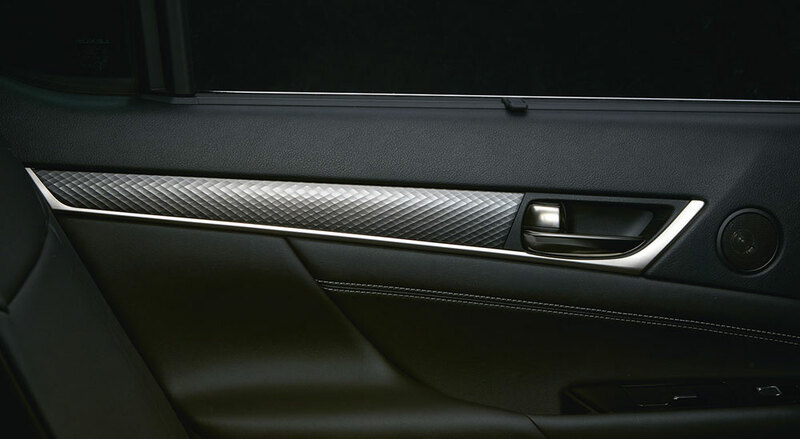 BEYOND BY LEXUS has a feature on the Naguri-style aluminum trim found in the GS F and GS F SPORT. IS-SV, mikeavelli and corradoMR2 like this. Looks even better in person on the GS F Sport. GS F is mentioned but must be for non-N.A. markets? Looks really nice! Looked like Carbon Fiber at first. BEYOND by Lexus is a great magazine. It not only tells us about the cars, but also about the Japanese culture, stories of people's jobs while driving Lexuses and little details on the incredible craftsmanship in every car. Certain articles can be found at http://www.lexus-int.com/magazine/. All Lexus owners receive issues in the mail (at least in Canada) If you are a Lexus owner and don't receive them, you can sign up with your VIN. Fperformance4dawin, IS-SV and mikeavelli like this. Japanese attention to detail is amazing. Can't say the same about Germans. Fperformance4dawin, mikeavelli and oem_is300 like this. Its the details that really bring out the quality that Lexus provides. That trim looks great. IS-SV and mikeavelli like this. So is this trim available in North America? Our GS-F is carbon fiber only, our GS F-Sport gets a trim that looks just about like this but has a darker finish that what is in this article, just wondering if it is the same, maybe just with a dark finish?? Lexus really does nail their aluminum trim. Ian Schmidt and meth.ix like this.